Turpin natives Chis and Sarah Roberts shared their story with Sportguys listeners Tuesday morning. Click on the audio icon to hear it. A family native to this area was featured on NBC’s Today Show (Friday). 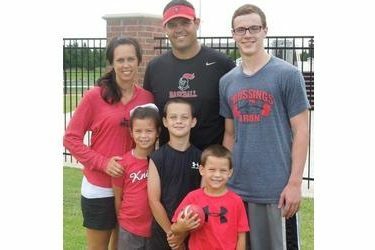 Turpin natives Chris and Sarah Roberts live in Edmond and are finalists in the NFL’s Together We Make Football contest. Chris graduated from Turpin High School in 1995 and Sarah Riffe graduated from Turpin in 1996.